Check out the fantastic prizes in our 2018 Club Prize Draw! Ardclough GAA are delighted to present details of our fantastic prize draw for 2018. See below for some of the amazing prizes on offer. 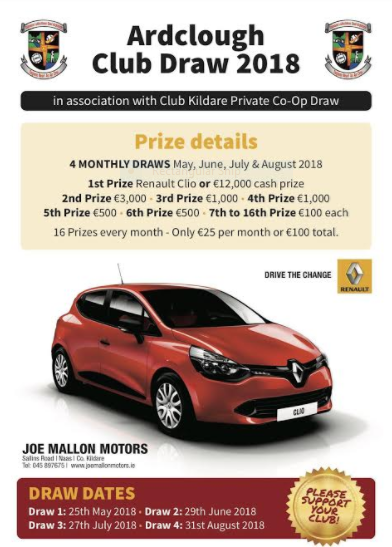 You could drive away in a brand new Renault Clio or win up to €12,000 in cash!